When we at Sify say DATAEXTRA, it simply means that our data centres are super efficient when it comes to data storage and its management. We provide 2 lakh sq ft of white space coupled with high-density power supply to accommodate rapidly increasing data, and boost your business with data centre services, cloud and ICT solutions. Whatever your business needs, our robust data centres specialise in keeping your data secure, up-to-date and functioning smoothly by making technology work for you. 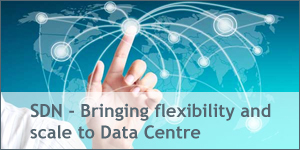 We are the only company that builds evolved data centres from scratch which are the very hub for all ICT solutions. Our network of data centres across various seismic zones offers real-time, unparalleled data management support. So, no matter how much your data or how complex, our vast tech-capabilities give your business matchless scalability, security and speed. As your technology partner, we empower you to stay tech-refreshed and keep you ahead.